Sadly, this is my last creation as DT member for Craft Heaven Shop. Thanks Tina for giving the opportunity to design for your website/blog and for sharing your goodies with me. Today's creation is a cute tag, inspired by Spring and bright colours. I used supplies from Craft Heaven Shop. They have new products and amazing stamps. You must check them out! I hope you like today's creation. I had a great time creating this beauty! If you have any questions, please let me know in the comments below. Thank you for the wonderful support! Means a lot! Have a great day! Sunflower Altenew Video Challenge #4. I love stamps! I wish I could keep up with the new designs and add more stamps to my collection. However, I don't like to buy stamps and use them once or twice. I try to come up with new designs, using different elements from the stamp sets . I made a tag, using Vintage Roses stamps by Altenew. Yes, there is no rose, but a sunflower... If you want to see how I did that, please watch this video tutorial. If you want to know more details about the video challenge by Altenew, please check out this link. It's time to share a new creation for Craft Heaven Shop inspirational blog. These two notebooks are pretty plain, because I plan on using them quite often. I used the laminator for the cover, because I want to protect the gorgeous design. The Pion ''To my Valentine'' papers are just beautiful and great quality. Making my own notebooks is so much fun! I love collecting notebooks, but I don't really use them. Because they are so beautiful and ''delicate''. As always, you can find more inspiration and other fun things over at Craft Heaven Shop inspirational blog. 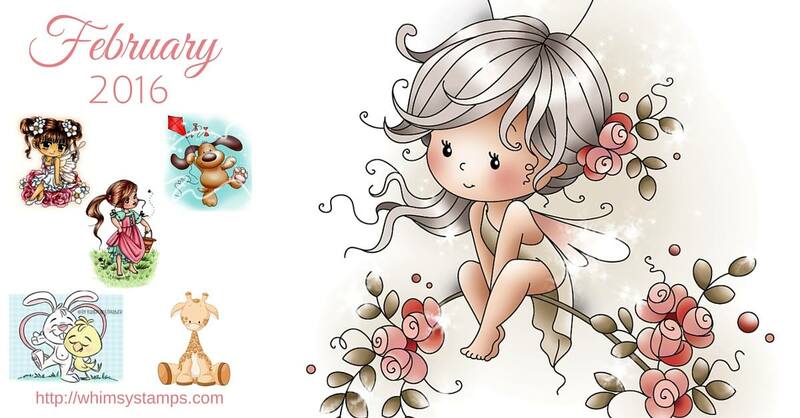 Have you seen the new Whimsy stamps? ''Holly - Little Spring Helper'' is just one of the new stamps. I love Elisabeth Bell's designs. They are so girly, but with a vintage twist. The card is pretty simple, because the design of this stamp is just too cute . The swing gives that feeling of ''head up in the clouds''. I just added a some clouds and a few sequins. Looks pretty good! I colored the stamped image with Inktense pencils. They are my favorites! I used to like copics and promarkers, but not anymore. The Inktense pencils are just perfect for crisp and intense results! You should give it a try! For more inspiration and details , visit Whimsy Stamps. We have an amazing design team. Thanks for stopping by! It's my turn to share a new creation for Craft Heaven Shop Inspirational blog. The new theme is called ''A gift from the heart''. I made a card, using ''Cute Sakura Tilda'' stamp. You can find more Tilda stamps over at Craft Heaven Shop. I hope you like today's creation. If you want to see more , please check out Craft Heaven Shop Inspirational blog for more creations, challenges and more. Have a lovely day! 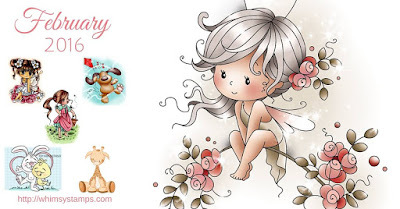 I just love the new Whimsy Stamps release! They are just adorable! I had to use the ''Baby giraffe'' stamp, for today's project. Such a cute design! You must check out the other designs and the other creations for more inspiration. Also, you can win $25 Whimsy Store Gift Voucher! Just check out all details over here. I decided to keep this beauty for myself. This stamp would be great for baby projects. Already planning on using this stamp again, but with a different twist. Just keep an eye on my blog. You are going to love Whimsy Stamps. Just check out their website! Wonderful artists and great designs! Today is a very special day! 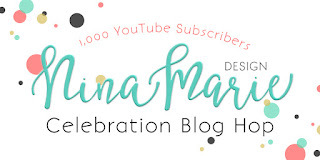 Big congrats to my friend Nina for 1000+ subscribers on her Youtube channel! If you don't know Nina's work, then you must check it out! For this special event, I made a spring tag. I used a few stamps to create the spring wreath, added a lovely spring sentiment and other bits. Just love the simple look of this tag. I know I would love to win some goodies and try their products! 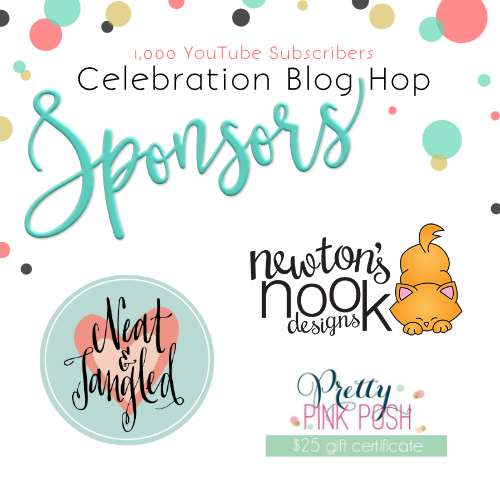 You can win gift certificates from Neat & Tangled ($25), Newton’s Nook ($20), and Pretty Pink Posh ($25). How cool is that?! 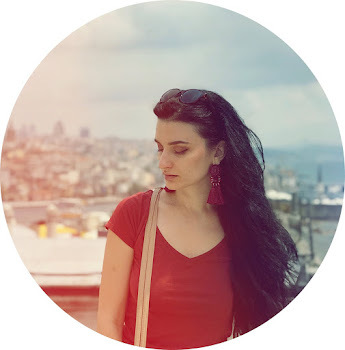 If you want to see more beautiful work and to win some goodies, then check out these talented ladies and leave a comment on their blog posts. Today's creation is a mini box, I made for Craft Heaven Shop inspirational blog. I used Pion papers from Craft Heaven Shop, to go with our new weekly theme ''monochromatic''. These papers are the best, if you want to create something for Valentine's day! Believe it or not.. I made this box,using scraps of paper and cardstock! Don't throw away your scraps, because you can create beautiful things! Just be creative! That's all for today! I will get back with more creations..very soon! Have a wonderful day! It's a new month! WOW! Time goes so fast! If you are a fan of Craft Heaven Shop inspirational blog, then you must check out the new ''Love is in the air'' challenge. For today, I made a mini treat bag. I don't celebrate Valentine's day, but this would be a great goodie bag, if you want to make for your loved ones. I hope you like today's creation. It looks very simple, but to be honest, it takes some time to put it all together. We would love to see your creations! Please check out CHS blog for more inspiration. Have a wonderful day!